I seriously can't explain why I adore tales of the fae as much as I do. Whether I'm crying over A Court of Mist and Fury for the umpteenth time or searching for my next favorite fantasy novel, I always find myself drawn to the world of fairies, or as Rogerson calls them, the fair folk. Maybe that's why I was so thrilled to begin An Enchantment of Ravens and immediately stumble into a world full of enchantment. Rogerson tapped right into my addiction, and I was more than happy to let her novel satisfy my cravings. Isobel lives in Whimsy, a town set between the world of humans that of the fair folk. The fair folk might be blessed with powers and immortality, but they lack the ability to create. That is why they return time after time to Whimsy; the humans there paint, draw, sew, write, and provide other services for the immortals. However, as the most talented painter in the entire town, Isobel knows better than anyone that no fair folk's patronage comes without danger. When the autumn prince pays her a surprise visit, she finds herself more involved in the world of the fair folk than she ever hoped to be.... and maybe just a teensy bit enamored with the mysterious prince. Okay, so where to begin. Let's talk about the good. I loved Rogerson's portrayal of the fair folk. She does an exemplary job of setting them apart from humans and painting them as truly unsettling creatures. Yes, there are some common details shared with other similar novels, but I still found Rogerson's creatures to be unique and intriguing. Rook especially captured my interest with his lack of human understanding but desire to do good. In addition, the world Rogerson paints is a beautiful one, and I enjoyed getting to explore both the town of Whimsy and the surrounding lands ruled by the fair folk. I can definitely say I got a healthy dose of fantastical worldbuilding, and that always leaves me a happy reader. Isobel's a wonderful heroine. Full of heart, she's someone any reader can relate to, but she's also not one of those hard-headed heroines who dashes into danger without caution. I can't tell you how many times I have shaken my head at YA protagonists because they're more focused on being brave and independent then they are on actually surviving. It was refreshing to feel admiration for a heroine instead of consternation. Now for the bad, or rather, the not-so-good. An Enchantment of Ravens is only 300 pages long, and if you ask me, it should have been about 500 pages. There was so much more Rogerson could have done with the story. The ending feels like a bit of a slapdash job, and the enchanted lands of the fair folk are left annoyingly under-developed. Even the main characters could have used a little more attention, and I believe all of my criticisms could have been avoided if the author had tapped into her imagination and taken things the extra mile. Besides, Rogerson's writing style is a joy to read, so the more pages, the better. 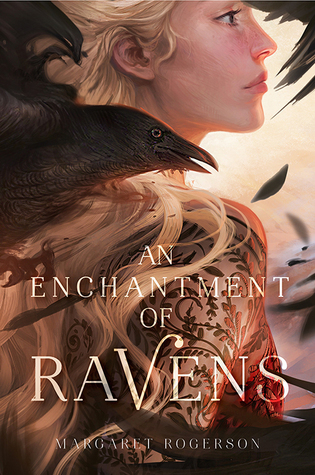 Overall, I'm thrilled to say that An Enchantment of Ravens didn't disappoint. I was so excited to give it a shot, and I came out on the other side smiling. 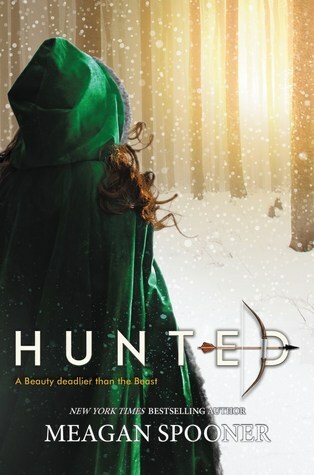 Sure, it's not the most original fantasy novel I've come across recently, but it's well-written and oh so much fun. 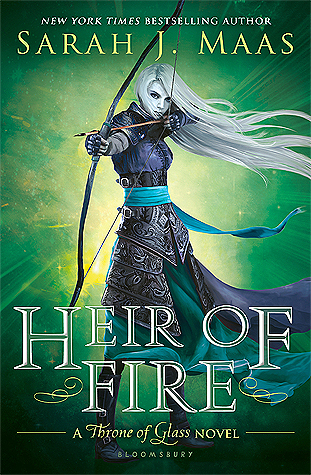 If you're a fan of Sarah J. Maas' works or in search of a quick but enjoyable read, pick this one up at the soonest opportunity.